Low performance is tied to the socioeconomic status of our students, hence the proverbial achievement gap between minorities and their white counterparts. There are many elements to a Whole Child approach. This includes but are not limited to school districts focusing on a student’s social, physical and mental health, access to food, their safety and environment and their exposure to culturally competent teachers, curriculum and instruction. It is only when we tackle education in this manner will we see our country be able to compete globally. Minority students make up just under half of the students in our public schools according to the ASCD, and if all their needs aren’t met, we will continue to perform subpar. Most teachers do understand the significance of teaching the Whole Child. Ashley Desmond, an 8-year veteran teacher explains that she teaches the students in her second grade class at Global Communications Academy (GCA) in Hartford through the International Baccalaureate’s (IB) Transdisciplinary Skills. She further denotes, “it is critical in today’s society to meet the needs of every child’s social, emotional, and academic needs…students learn social skills, research skills, self-management skills, thinking skills, and communication skills. These are life-long skills that will allow students to flourish through their academic career.” But incidentally, GCA is the only IB school in the district. Many of my colleagues agree with the urgency of teaching the Whole Child. However, there are supports that need to be put in place to make doing so a reality; this is especially true for low performing impoverished communities. There are 3 major provisions that must be implemented with fidelity to fulfill the promise to our children of tending to all of their diverse needs. They must have a safe and nurturing environment to develop life and academic skills, diverse teachers who represent a global world, and on-going professional development centered on teaching to student’s diverse needs. A combination of all these factors will help educators teach the Whole Child and foster globally competitive students. A positive school environment and culture is highly relevant in ensuring the Whole Child is nurtured. A school’s ability to foster a safe bully-free school and cultivate relationships and rapport (principal to teacher, teacher to student) all affects whether or not a student’s social and emotional needs are developed. As Charlotte Danielson explains in her Framework for Teaching: Evaluation Instrument book, an effective teacher “demonstrates knowledge and caring about individual students’ lives beyond the class and school.” I was able to be reached as a child because someone looked under the surface to reveal the “real me” and explain that I did indeed have a viable future as a productive member of society. A teacher took the time to inquire about my home life, build a relationship with me and make me feel secure. Disadvantaged students benefit academically and socially from having teachers with whom they can identify…if a diverse teacher force is racially and ethnically reflective of the students served, students of color and English language learners (ELLs) will see themselves in the professional realm and are more inspired to pursue higher education. If we are going to teach the Whole Child and prepare them to be global citizens, their educators need to be diverse and more representative of a forever changing multicultural world. There is no question that many of my peers do undergo some type of professional development (PD), whether it is school-based or district-wide. Unfortunately, there is a shortage of engaging quality PDs available to teachers. Ninety-five percent of teachers strongly agreed that Hartford Public Schools should provide more opportunities for collaboration between teachers according to a survey conducted by Educators 4 Excellence (E4E) in spring 2015. In order to build the leadership capacity in teachers, there must be an investment in them to continue learning and for them to refine their practice. I have attended numerous external professional developments and educational conferences (outside my district and state) because it is important to me that I perfect my craft. PDs that I felt were engaging and kept my interest involved: educators discussing content within and vertically across grade levels, solving problems, and moving around to interact with each other and session leaders. Other engaging PDs were ones that gave away free educational stuff relevant to instruction and a Whole Child approach. These PDs included teachers receiving culturally responsive strategies that they could bring back to their classrooms and implement immediately; follow-up with feedback and chances to reflect is a must to sustain improvement efforts. Support around teachers attending educational conferences must be made a priority as it is critical to the Whole Child approach. This will give educators the opportunity to network, broaden their resources and skills and collaborate with other teachers on a state, regional or national level. This allows teachers to call on the expertise of their peers who have different strengths. We cannot expect to inspire our students to be continuous learners and globally competitive if educators do not lead by example and keep abreast of the latest proven research available. While all stakeholders play a role in student’s learning, teachers directly impact student achievement. It is for this reason that schools need to build the leadership capacity in their teachers to ensure that they are equipped with the necessary tools and resources to teach their students with a Whole Child approach. I made the choice to stay and reside in Hartford and give back to my community. Now that I have two small babies, my motivation and commitment to reforming education is strengthened with an even greater sense of urgency. The ASCD offers an extensive amount of information on the Whole Child Approach. Click here to access a free online course “An Introduction to the Whole Child” centered on school’s climate & culture, building and teacher leadership, curriculum and instruction, assessment, classroom strategies and more. A report on importance of Minority Teachers in Connecticut by State Education Resource Center. Read the blog “Education is Social Justice” on the U.S Department of Education’s blog. The CDC offers program tools around school health here. My story on being mislabeled in school and its significance can be found here. Syeita Rhey-Fisher has taught grades 2-4 for nine years in the Hartford Public Schools district. She is a visual and graphics art enthusiast, blogger and poet. Syeita received her B.A in Studio Arts from Trinity College and a M.S in Teacher Leadership from Quinnipiac University. 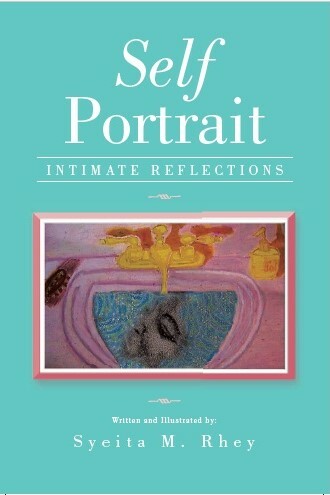 Syeita Rhey-Fisher is the author of Self Portrait: Intimate Reflections. A coming of age autobiographical account expressed through poetry. It was written by her as an urban teen/youth as she was undergoing her rite of passage before becoming a public servant in education and social justice advocate. For more info visit: www.syrhey-fisher.com/poetry-book.